Christopher Owens was impressed by a book centred on the Black September attack on Israeli athletes in Munich. The Arab-Israeli conflict. Where do you start? Munich seems like the best place. 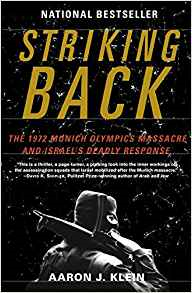 First published in 2005, Breitbart journalist Aaron Klein has examined the events surrounding the 1972 Munich Olympics and the so called "Wrath of God" response from Israel's secret service, the Mossad. Both were depicted separately in Andrew MacDonald's superb One Day in September as well as Steven Spielberg's ponderous Munich, and while the medium of film is a great way of hitting someone directly with your message, a book can take a more philosophical approach. Even a contradictory look. Beginning by examining how volatile events were in 1972 (events like the Sabena Flight 571 and Lufthansa Flight 649 hijacking as well as the Lod Airport massacre are discussed), Klein sets the scene for the Munich Olympics massacre. 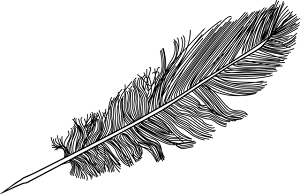 With a West German state determined to keep visible security to a minimum due to the country's recent history as well as ego (the 1972 Olympics were the first games to be broadcast live from satellite), disaster was imminent (especially when one takes into account that the West German government had paid a substantial ransom fee to the Palestinian organisation responsible for the Lufthansa hijacking). The whole event is depicted as a grotesque shambles on the part of the Germans (even turning down help from Israel in rescuing the team). While some of this could be explained by post-war restrictions on the German Army, there is simply no disguising the fact that the authorities were ill-prepared for such a scenario (despite the well documented hijackings earlier in the year). And the relatives' well documented battle against the cover up of mishaps is enraging. The Mossad and the intelligence community, with the backing of the public consensus and the parliament, were stretching the meaning of the term 'terrorist involvement' to the limit. Anyone vaguely connected to a terrorist organisation or act was immediately placed on the top of a slippery slope; assassination waited below. With the various letter bombs and killings attributed to (what became popularly known as "Operation Wrath of God"), the biggest and boldest claim from Klein is that the Mossad only ever killed one person who was directly linked with Munich, and that was in 1992. The other murders were either uncorroborated, opportunistic or a mixture of the two. The classic example is of the three members of Black September responsible for Munich. 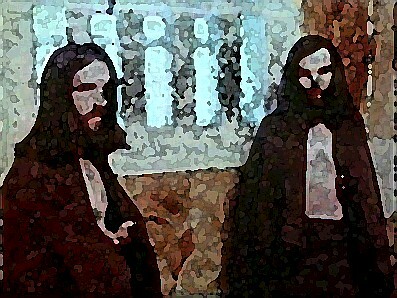 They had been removed from agents' lists in the late 70's, as it was believed that they were dead. Yet considering Jamal Al-Gashey gave an interview in One Day in September, it's clear that the Mossad's informers weren't that well informed. Klein's tone throughout is remarkably consistent. While he criticises the thinking and actions that led these killings (which notably climaxed with the Lillehammer affair, where an innocent waiter was murdered by Mossad agents in a case of mistaken identity), it is not an openly condemnatory book and he allows the agents to detail the rage that engulfed them. While Klein's sympathies are unmistakeable, he is to be praised to keeping a level tone throughout, allowing the reader to decide whether they are outraged or not. And while the overall conclusion from Mossad agents is that they had a hand in forcing the PLO to move into more democratic territory (such as the 1996 decision by the PLO to remove the clause calling for the destruction of Israel from their charter), others aren't convinced (noting that the PLO had already begun to go in that direction in the mid 70's). One of the big things to take away from this book is that the image of Mossad being this shadowy, secretive and precise organisation that brings death is just that: an image. By allowing themselves to believe that minor PLO figures scattered around Europe were deranged terrorists, and with Palestinian announcements proclaiming them important figures in the fight against Israel, a myth was born and perpetuated. One for my list. I have been lent the Simon Reeve book on the same subject but have not got around to reading it yet. There was also a TV movie ‘Sword of Gideon’ made in the 80s about Mossad’s response. It is OK. 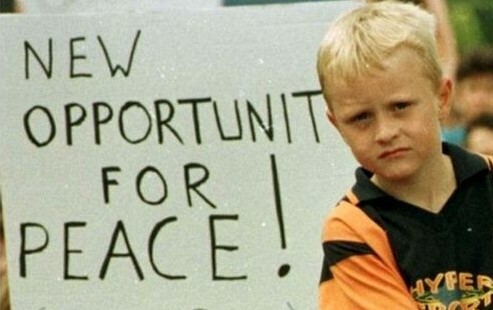 The doc ‘One Day in September’ is superb as you say. Is there anything in the book that looks at the possibility of Black September being given assistance by the armed revolutionary German left at the time. There were connections between the Palestinians and the RAF. I remember reading speculation (without any evidence provided) that the deaths of the Baader Meinhoff members in Stammheim prison in Oct 77 were in some way connected to the Wrath Of God. An interesting theory. he does mention in passing the links with various groups but doesn't dwell on them.